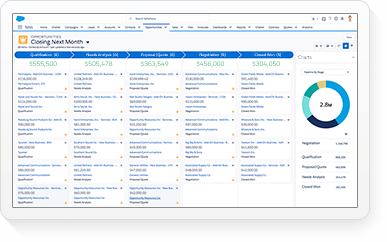 Learn why Salesforce is recognized by Gartner in its new February 2019 report. 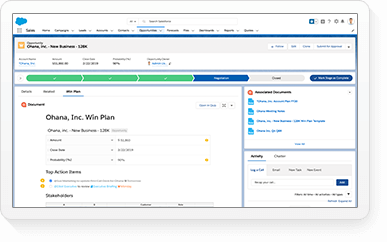 Gartner names Salesforce a Leader in the February 2019 Magic Quadrant for Digital Experience Platforms. 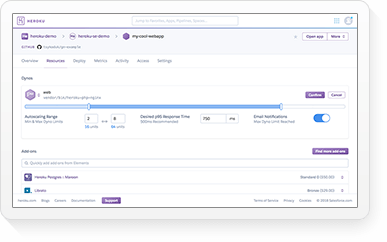 Community Cloud is a digital experience platform that enables companies of all sizes to build beautifully branded CRM-powered portals, forums, sites, and mobile apps faster than ever before. Create stunning, responsive experiences that give every user a seat at the table. Create intuitive digital spaces for every need: customer community, channel partner site, commerce, and beyond. Get CRM-powered experiences that let you and your partners think outside the box. It's never been easier to create flawless, responsive digital spaces. Turn any digital experience into a pixel-perfect mobile app with Mobile Publisher for Community Cloud. 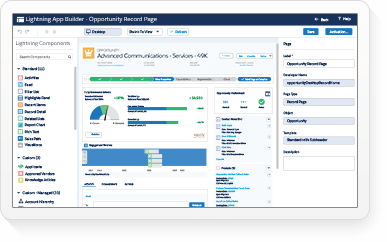 Increase customer and partner engagement with on-demand access to your customer portal. 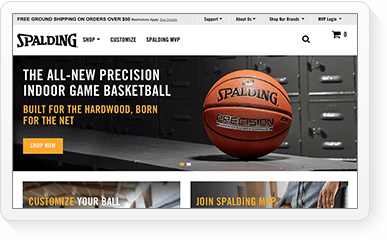 Build and launch your experience with just clicks. What kind of experience do you want to create? Help customers find answers themselves, on their own terms and time frame. Whether you need a knowledge base, a self-service portal, or a forum, we’ve got you covered. Give users a responsive portal where they can access articles, update their accounts, and create and manage cases and claims. 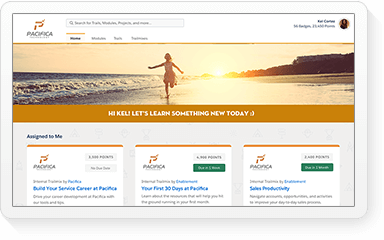 Create a complete channel management solution for you and your partners with a dynamic PRM site. Go beyond our prebuilt solutions and create something for your unique business needs with the Lightning Community Builder. Choose a template that suits your needs. Pick a theme to customize with your brand. 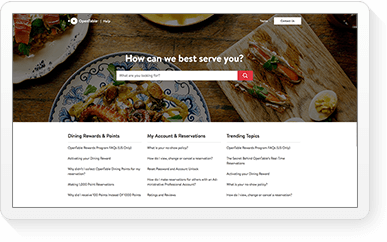 Help customers find answers themselves, on their own terms and time frame, with self-service portals and forums. 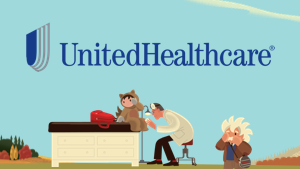 Find solutions for every industry need with expert help from our partners. Our library of industry-specific Lightning Bolts contains templates, process flows, apps, and components built to solve every unique issue. Start with prebuilt themes and add your own branding. Or fully customize every pixel. Import content and settings from your existing CMS or use our built-in, lightweight CMS. Seamlessly connect your experience with your customer data. Integrate data from any source. 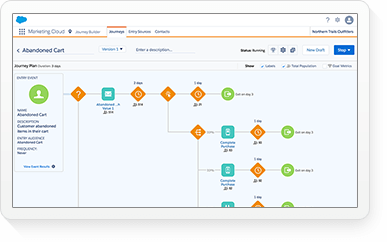 Pull in data from Salesforce, third-party, or legacy sources. 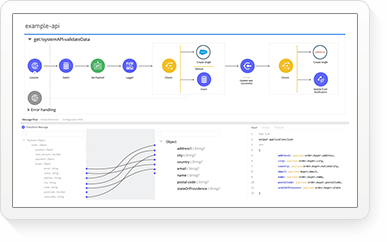 Easily link it to Community Cloud functions like leads, opportunities, cases, campaigns, and custom objects. Tailor experiences for each user type using CRM data to define audiences and target users with personalized content. All Lightning Communities are 100% mobile optimized and fully responsive for an easy-to-use interface wherever you go. Recognize your most active members with custom profile badges. Enable members to endorse each other for specific skills and expertise. Track and optimize your site. 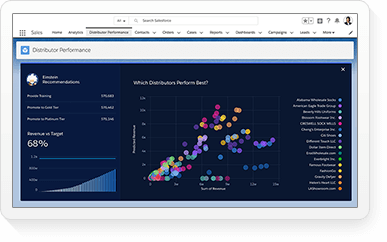 Measure, analyze, and optimize your experience with customizable Lightning dashboards in the Community Workspace. Keep answers organized and accessible. Access all information with autogenerated topic pages. Collect discussions, files, groups, and experts into a single page. Join other businesses bringing their brands to life with Community Cloud. Set up, launch, and improve your space. Find more help if you need it. With online, self-service training from Trailhead, your admins and managers will have all the tools they need to get started. Explore free, online learning on Trailhead, the easy way to learn Salesforce. And get in-person classes and support. Meet and engage our knowledge base of experts and customers in the Salesforce Success Community. Engage your audiences with beautiful, branded portals, forums, and sites. 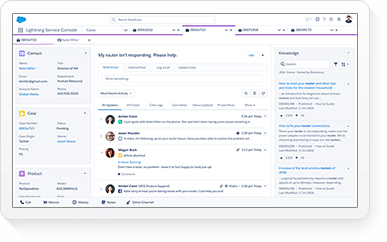 Salesforce Community Cloud is powered by advanced online community software that connects employees, partners, and customers into a seamless, productive ecosystem, which works to better your business. With Salesforce, you can build an internal website that merges all employee announcements and events within a single, effective information sharing space. Or, you can invite your customers to share experiences and answer questions to help recruit new customers and help other customers in a useful, moderated discussion environment. Many companies use community software to provide a secure space for their reseller partners and sales teams to discuss leads and approaches to selling more effectively. How you use Salesforce community software is limited only by what social spaces and functions you can envision for your business.